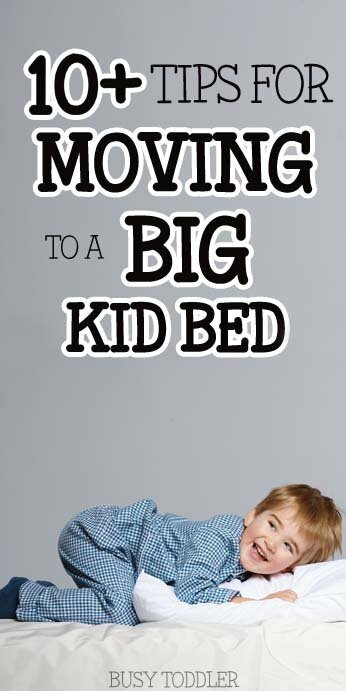 Inside: You’ll find tips and tricks for making “the big move” – transitioning from crib to bed. I’m not sure which is more terrifying: the day you bring the baby home from the hospital or the day you move that now-not-so-baby to a big kid bed. Yikes. Nothing seems to elicit more parental fear than the uncaging of baby – transitioning from crib to bed. What is it about that move that makes our hearts stop? Is it the new found freedom of a tiny human? The terror and unknown of what they might do in their room? Or the potential for sleepless nights… and who wants those again? TRUST ME FRIENDS. It doesn’t have to be that scary. It can go smoothly. It can be a piece of cake. It can be a total walk in the park. I’ve moved two kids into toddler beds at 18 months of age and I’ve lived to tell the tale. A few things to note up front: I was pregnant during each of these transitions. Seriously pregnant. Third trimester pregnant. Our hands were “tied” and we had to transition at 18 months to get the crib cooled down for the new baby to take it. All of these are my own thoughts, ideas, and opinions on transitioning from crib to bed. As with all things parenting, please do what is best for your family. This is what worked for mine. This post is full of Amazon affiliate links. Read more in my disclosure policy. Because our kids were only 18 months old when they transitioned, we went with a smaller toddler bed that sits low to the ground. We have this one and absolutely love it. In a perfect world, the kids could have gone right to a twin bed but at that little of an age, the toddler bed was perfect for us. A few days before the big move, we put the bed into their room to get them used to it. We began identifying the bed as their bed. We read books in it, practiced NOT jumping on it, and made it a new part of life. I really believe in this part of the transition. Get them ready, get them understanding something is coming, get them used to the bed. Basically, you want them to mark their new territory. 3. Let the toddler help with the move. When it’s “time” for the transition to happen (aka move the crib out of the room), have the child be a part of the move. Make it a big deal. Make their help absolutely necessary to the process. Let them say their goodbyes. 4. Make sure the room is “Mobile Toddler” ready. Your toddler is going to get out of bed. Your toddler is going to play in their room. Your toddler is going to have a mini toddler party in there. What should you do? Get the room ready. Strap all dressers and bookshelves to the wall. Remove all highly distractible toys (for us, this was the activity table and loose kitchen food). Get the potential dangers out of there, like low sitting table lamps and random cords. Do a good “baby proofing” sweep of the area. 5. Child proof the door. This may be a tad controversial, but hear me out: We child proof the door and lock the kids in. Why? Because they are 18 months old and that’s way too little to be wandering around the house at night. I look at it this way: they’re used to being trapped in a crib so being trapped in a room is already a huge step up – it’s also about enough independence to bite off in one day, in my humble opinion. 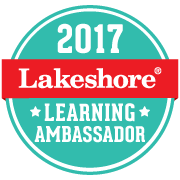 PLUS, this sets you up for success in training them to stay in their room and not wandering down the hall at 5:15 am to say “Happy Saturday”. 6. Start the transition with nap time. We started both kid’s transitions with at naptime instead of bedtime. Naps are heavenly, of course, but not as critical as a full night of sleep – to all parties involved. It’s a low commitment/low impact time to start. My best advice: keep repeating the same phrase: “Stay in bed and fall asleep” as you kiss them good night and shut the door. This won’t probably work at all, but it’ll make you feel better. The truth is: they are going to get out of bed. They are going to play in their room. They may stand at the door and cry. That’s the reality. This is new and a little scary. This is something they have to learn to handle. 7. Don’t cave. Let them work it out. Your toddler just earned a ton of new freedom. Don’t freak out as you watch this unfold. Embrace it. Let them explore. Let them figure out what to do with the freedom. Let them get the lay of the land. Odds are, they will fall asleep…eventually. Or they may skip a nap or two. Just make peace with that fact now. 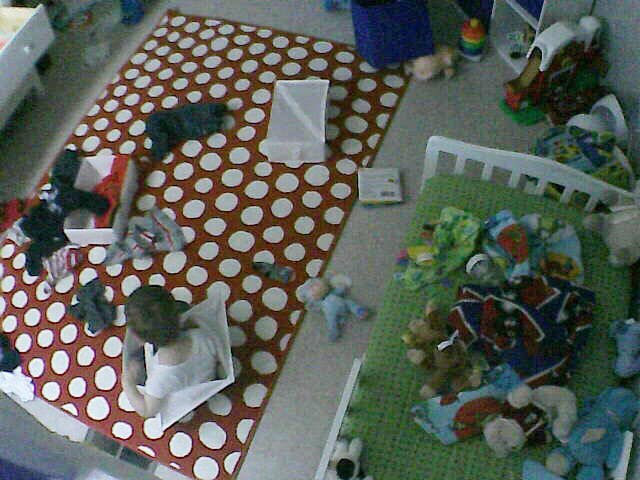 My son at 18 months playing in his room instead of napping. 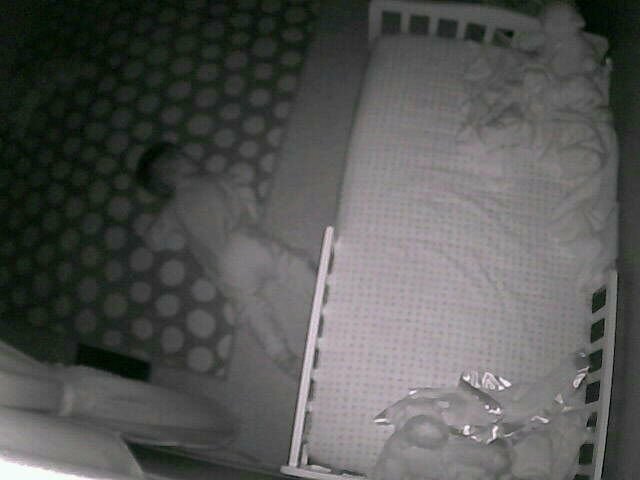 This was his 2nd nap attempt in his big boy bed. Just make sure you’ve got eyes in the room aka a video monitor (we love this one that goes to an app on our phones). This way, you can watch them while keeping your distance. Try your best to stay out unless things take a dangerous turn – which they shouldn’t since you did a bang up job child proofing the room. This was the best advice I got before we started transitioning our oldest. Factor in a little play time at night. If 7:30 pm is the normal bedtime, plan to get them into the new bed by 7. This might last for a while, but eventually, the novelty will wear off and they’ll fall asleep without having a bedtime party. They are going to play in their room. But like every other phase, they will grow out of it. Took my son about a month to stop partying. Took my daughter three days. Every kid is different. 9. They will roll out of bed. They might sleep on the floor. It’s OK.
Don’t rush in to get them in the morning. If you feel comfortable with it, let them learn to play a little and be content. 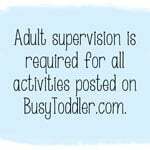 It helps build strong independent play skills and self-entertaining skills. Night lights are great for some kids, not for others. We love this one that displays stars on the ceiling – nice and peaceful without being too bright. If you have an early-waker, try a toddler alarm clock that lets tots know when it’s ok to wake. 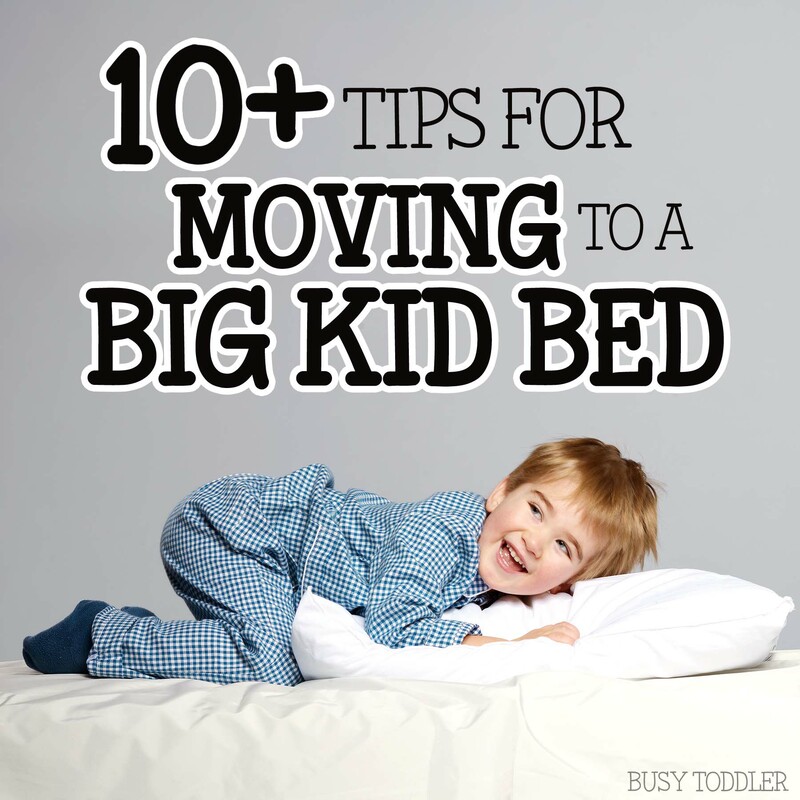 What are your best tips for transitioning from crib to bed? I love this! Thanks for all the tips! We have started the transition with my 20 month old and this has been a very helpful guide. I just have a couple questions, if they persistently cry by the door would you just let them cry it out or go in and put them back in bed? Also, if they don’t sleep or “skip” their nap, do you just leave them in there the duration of their usual nap time? With everything – it’s all parent decisions and what you feel comfortable with. For us, I knew when they were actually crying and when it was fake crying so I tended to leave mine. If they were in the “skip nap” mode, I did leave mine for the duration of the nap. I need my union break and they need a break from me 🙂 plus this has helped loads with them learning to play independently. Again, it’s all up to you, but that’s how I’ve done things with my two. Love this thank you! Were your kiddos potty trained? No, not yet – my oldest potty trained about 6 months after the move to the big bed. My daughter has been in the toddler bed for 5 months now and potty training begins after xmas….wish me luck!! We are transitioning my toddler at 20 months and using a Queen Bed which is low profile but still a steep drop. What do you suggest for my fear of her falling from the sides and end of bed. We have put a bed rail on the side but not on the end. My toddler used to stand in her crib so I’m worried she might try to stand and fall. I have put some blankets and pillows on the ground but I’m still worried. Any suggestions would be greatly appreciated!! Have you thought about putting pool noodles under the fitted sheet? It’s a great way to make a barrier in case she rolls this way or that. My kids were also convicted crib standers and it was something we just instilled from day 1: you don’t stand on the bed. For me, I just had to uber harp it into them and they got the memo, thankfully. I would just keep restating the bed rules over and over. Good luck with the big move!! Thank you, this is a lifesaver! You share an outstanding article and it’s really useful tips. It is a dream of every parent to provide the best to their kids. Since their birth and even before that mothers and fathers start planning things to ensure that their children can get all the comfort and facilities beforehand. Buying toddler bed sets is a difficult and complicated job then you may have expected. You may have various themes and plans to decorate your kid’s room into a beautiful, playful, lively, and comfortable heaven for your kid; hence an astounding Toddler Bedding set is, of course, a must for your kid. I’m so glad I found you! Thanks for the tips. 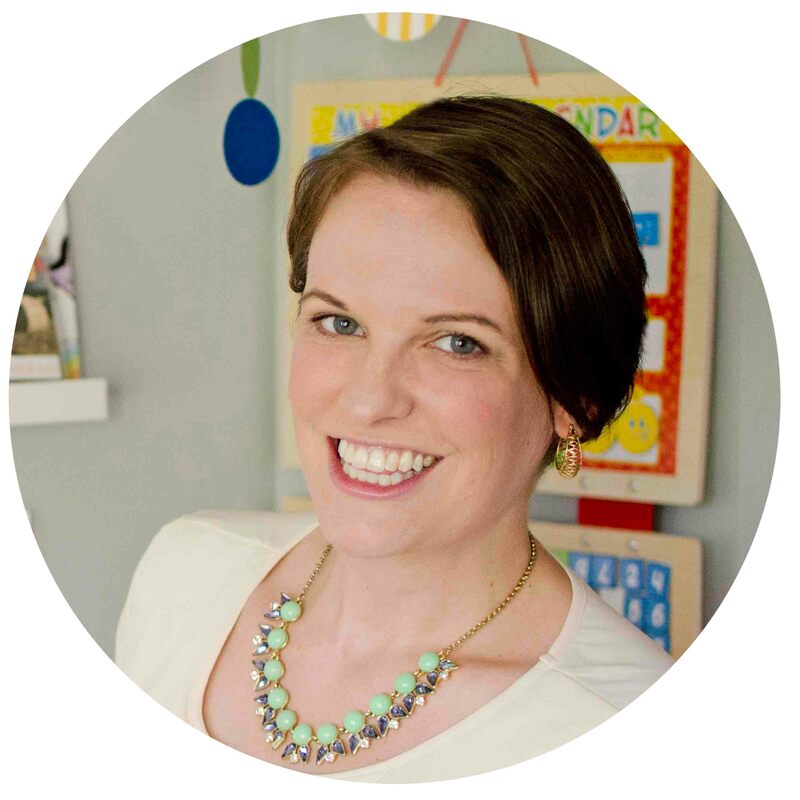 For us, we missed our chance on some of them, but most we can still utilize, and some we’ve done so I’m giving myself a pat on the back for, after a long day of toddler tantrums and a battle of wills at bedtime in her new toddler bed. These will help so much! Thank you thank you!